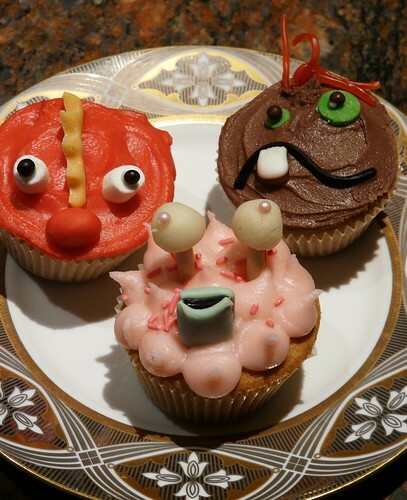 These are by Little Miss Cupcake (Paris) (via Flickr) for a party with the theme "Every Child is a Little Monster." Visit www.littlemisscupcake.eu for ordering information. Thanks for the post. The pics of the finished cupcake tower is up. More Little Monsters here!